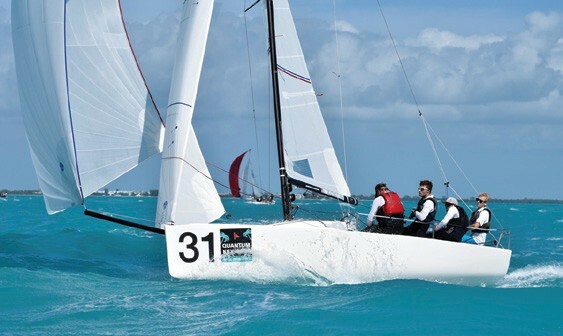 The 30th anniversary edition of Quantum Key West Race Week, organized by by the Storm Trysail Club, was held January 15 – 20, 2017 in Key West, FL. The regatta saw seven racing classes complete 10 or 12 races, all as scheduled. The Performance Cruising Class also completed five races, as scheduled. The week started with a windy and wavy southeasterly that faded over the course of four days before swinging around to a light southerly on the final day. 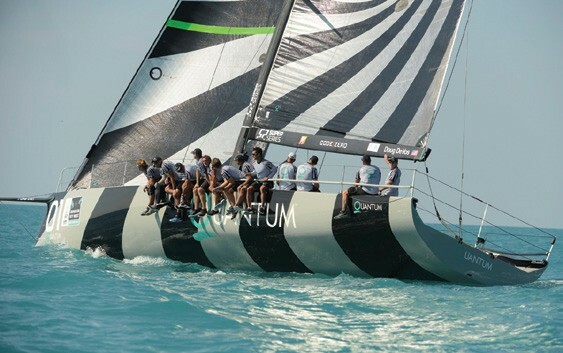 By winning the final race of the highly competitive 52 Super Series and with it the class championship, Doug De Vos’ Quantum Racing (Ada, MI) was awarded Boat of the Week honors. The coveted Boat of the Week trophy came down to the 52 Super Series and J/70 Class, but ultimately was awarded to Quantum Racing. “Based on the closeness of the racing from start to finish, the 52 Super Series is the most competitive class we’ve ever had at Race Week,” said Division 1 Principal Race Officer Ken Legler, who’s been coming to Race Week for 23 years. 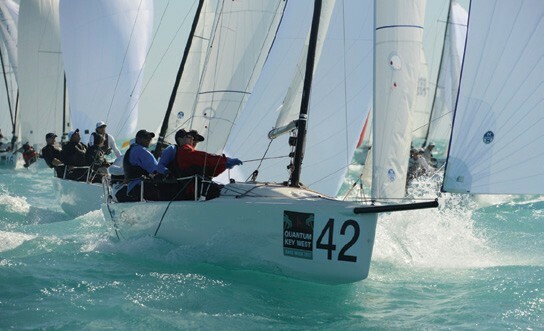 The Corinthian Boat of the Week was awarded to Rob Britts’ J/70 Hot Mess, (Tierra Verde, FL), which finished 15th in class. The Sailing World Youth Trophy, awarded to the crew with the youngest average age, was presented to Gannon Troutman’s J/70 Pied Piper (Gloucester, VA; 12th in class). All shoreside activities at Race Week were held at the Waterfront Brewery, which was a gracious host. Nightly debriefs and panel discussions covered a host of topics, and morning weather briefings with Ed Adams (presented by Quantum Sails and Gowrie Group) got everyone ready for the day’s racing. Tim Healy’s New England Ropes (Jamestown, RI) won the J/70 Class, the largest class at Race Week. New England Ropes finished 11 points ahead of Marty Kullman’s New Wave (St. Petersburg, FL), which won a tiebreaker for second over Carlo Alberini’s Calvi Network (Pesaro, ITA). Peter Wagner’s Skeleton Key (Atherton, CA) won the 42-boat J/111 Class for a second consecutive year. Todd Stuart’s Swan 56 White Rhino (Key West, FL) won the Performance Cruising Class with five bullets, and Wendy & Phil Lotz’s Gunboat 60 Arethusa (Newport, RI) won the Multihull Class. Complete results are posted at keywestraceweek.com. The Storm Trysail Club’s next major event is Block Island Race Week, scheduled for June 18-23 off the coast of Rhode Island.